When immigration could not deport Jose Isaias Lara Serrano, they got the US Attorney to prosecute him solely for a 4-year old deportation. Please join the New Orleans Congress of Day Laborers and the #Not1More Deportation Campaign in urging the U.S. Attorney of New Orleans Eastern District, Kenneth A. Polite, to drop the charges for Jose Lara Serrano. 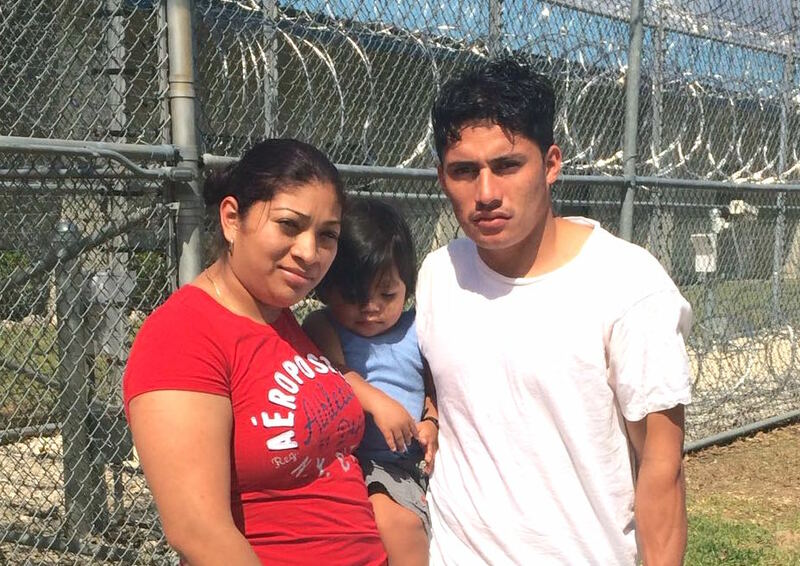 Jose Isaias Lara-Serrano was detained by immigration agents in New Orleans when the department conducted a raid as they were looking for someone else. Even though at the time Jose did not fit any of the priorities outlined by immigration enforcement, he was taken into custody. Although his deportation was stopped after advocacy from the New Orleans Congress of Day Laborers, before he was released, ICE made sure that he would get prosecuted with “re-entry,” a felony charge that effectively puts Jose Isaias as part of the people who are considered priority for deportation. Now Jose Isaias in in federal custody awaiting his court date of June 9th. The person prosecuting him is U.S. Attorney of New Orleans Eastern District, Kenneth A. Polite, who can chose to drop charges for Jose Isaias as a matter of discretion and allow him to stay with his family. Jose Isaias left Honduras in 2012 fleeing his country, known as one of the most dangerous and violent in the world. When he first came to the U.S. in 2012 he was stopped at the border and deported. He returned the same year, and settled in New Orleans with his partner, Valeria, where they had their first son. Jose Jr. is now 14 months old, and suffers from asthma and allergic rhinitis, which have required constant medical treatment and supervision. Jose is the sole economic provider for his 14-month-old US citizen son. His wife Valeria is responsible for ensuring their son’s medical care as her full time job, as he requires daily medication for his conditions, as well as frequent monitoring by doctors. Valeria is also in removal proceedings, and is currently awaiting her first immigration hearing at the New Orleans Immigration Court in August of this year. She counts on Jose’s financial support to hire an attorney to represent her in court. Without her husband, Valeria would have to choose between taking care of their son’s medical needs, working to provide the economic sustenance, or defending her case in front of the immigration court.